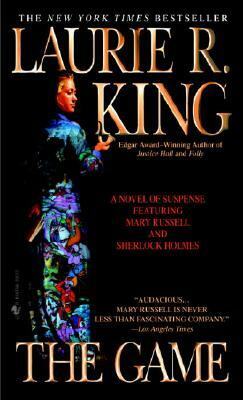 Laurie R. King’s bestselling mystery series featuring Mary Russell and her husband and partner, Sherlock Holmes, is beloved by readers and acclaimed by critics the world over. Now the illustrious duo returns for their most dangerous exploit yet, in a rich and atmospheric tale that takes them to India to save the life of one of literature’s most fabled heroes. It’s the second day of the new year, 1924, and Mary Russell is settling in for a much-needed rest with her husband, Sherlock Holmes. But the fragile peace will be fleeting—for a visit with Holmes’s gravely ill brother, Mycroft, brings news of an intrigue that is sure to halt their respite. Mycroft, who has ties to the highest levels of the government, has just received a strange package. The oilskin-wrapped packet contains the papers of a missing English spy named Kimball O’Hara—indeed, the same Kimball who served as the inspiration for Rudyard Kipling’s famed Kim. An orphaned English boy turned loose in India, Kim long used his cunning to spy for the Crown. But after inexplicably withdrawing from the “Great Game” of border espionage, he’s gone missing and is feared taken hostage—or even killed. When Russell learns of Holmes’s own secret friendship with Kim some thirty years before, she knows the die is cast: she will accompany her husband to India to search for the missing operative. But even before they arrive, danger will show its face in everything from a suspicious passenger on board their steamer to an “accident” that very nearly claims their lives. Once in India, Russell and Holmes must travel incognito—no small task for the English lady and her lanky companion. But after a twist of fate forces the couple to part ways, Russell learns that in this faraway place it’s often impossible to tell friend from foe—and that some games must be played out until their deadly end. Showcasing King’s masterful plotting and skill at making history leap from the page, The Game brings alive an India fraught with unrest and poised for change—and an unpredictable mystery with brilliance and character to match. Laurie R. King is the "New York Times" bestselling author of eight Mary Russell mysteries, four contemporary novels featuring Kate Martinelli, and the bestselling novels A Darker Place, Folly, and Keeping Watch. She lives in northern California. "From the Hardcover edition." "May well be the best King has devised yet…. The sights, smells and ideas of India make interesting, evocative reading. "—Publishers Weekly, Starred Review.